Looking for new Challenge - National and Export Sales. Do you have the energy and inspiration to take this amazing venture to the next level? Having spent since the 90's diversifying and developing this property into a strong future proof agricultural marketing proposition, the present owners have run out of time and are looking to hand over the reins to younger owners to take their dream further. Looking for a new challenge? Take the plunge into familiar ground with a completely new future proof product base. This business grows Australian Native Bushfoods and value adds them into award winning retail, wholesale and bulk natural bushfood products. So much of the hard work has already been done - years of research, product development, regional growing suitability and market testing, - resulting in a proven formula that is ready to fly. 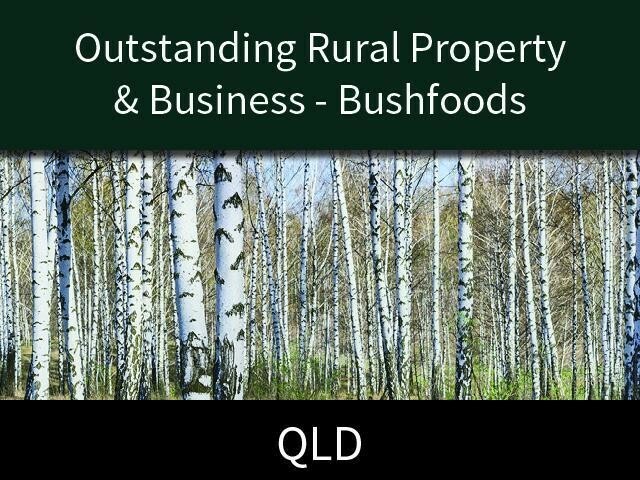 This Agricultural Business is one of 24 businesses for sale in NSW North Coast, New South Wales, and one of 9 Agricultural Businesses in this region that a business for sale currently has on offer. This Agricultural Business is for sale in NSW North Coast for the asking price of $2,200,000 + SAV and is new to the market.